Summer is coming and with Milan Men's Fashion Week around the corner, it becomes necessary to get refreshed with some great music and sounds!! Of course there aren't any show tickets to show off , backstage passes or invitations of any kind. Access is limited. Despite this situation, The Male Model Music Project is always willing to work very hard and is glad to bring you an exclusive from the Capital of Men's Fashion. 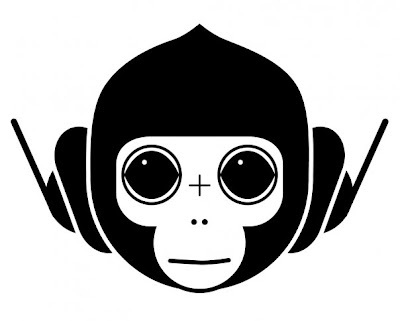 Meet Franky B aka Cryptic Monkey, DJ,producer and sound designer based in Milan, whose current work in collaboration with Abstract:Groove, an integrated creative agency, has been featured in several poductions for clients such as Diesel, Dolce & Gabbana, D&G, Pirelli, GF Ferré and many more. 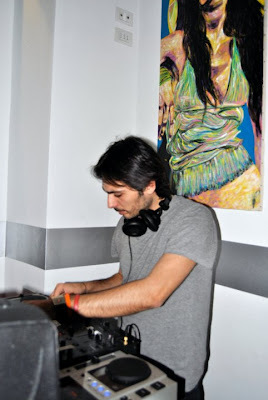 As a DJ, you can check him out playing at Magazzini Generale in Milan, and AOL parties in the rest of Italy. The Male Model Music Project interviewed Franky B , who talked about the art of creating sounds and customized grooves. How and when did you start mixing music and creating sounds? Franky B: I’m lucky because my family loved music ( specially my sister), this way I was introduced to the sounds early. The supreme moment was during 1989 when I heard for the first time “Don’t Believe the Hype” by Public Enemy.It was the bomb! I was totally hooked... ever since! After ten years of practising turntablism and mixing, I started my approach to the machines in 1999! Please tell us, How do you describe yourself, a "sound creator", " sound designer" or a" DJ"? What side are you in? Franky B: First of all I’m a DJ... ALWAYS! For me dj-ing is like Kung Fu, with the same mentality. My purpose is to transport my DJ culture into the musical production, combining them and trying to have a unique sound, something different from the others. Obviously I try to study a lot to shorten my gaps as “canonic musician”. When you are a sound creator , that means to leave creativity fly free. Which one was the first record or CD you bought? Franky B: The first vinyl that I bought with my own money was LL Cool J - "I’m Bad” but the most important for my future was M.A.R.S. - "Pump Up The Volume". 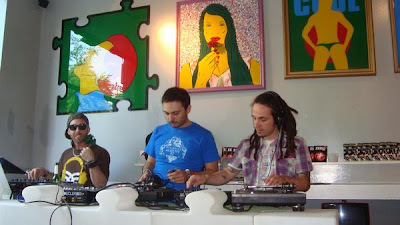 Franky B (center) mixing at Freak Bar in Milan. What artists, sounds, DJ's or people have influence in your work? What music genres you work? Franky B: Well..so many... but without doubt Luigi Pane(the Abstract:Groove's creative director) for the meaning of music, Dj Simi for the meaning of Dj-ing. 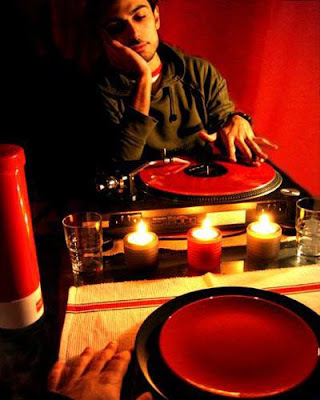 Men In Skratch for the meaning of turntablism..and the most important my father for the meaning of life. For the genres..When I work for Abstract:Groove I walk into many different styles trying to obtain the real ABSTRACT GROOVE!! Abstract:Groove, the integrated & creative studio in charge of creating commercials and the backstage videos for Dolce & Gabbana shows. How do you work a track, for example, when you do the sounds for the Dolce & Gabbana's backstage videos , what comes first the music or the video? Are there any rules to create the sounds in specific videos according to a specific brand ? 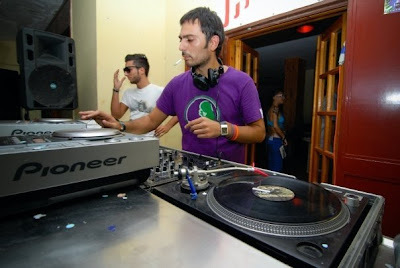 Franky B: In Abstract:Groove audio and video run together, so we develop in the same moment all the work steps. 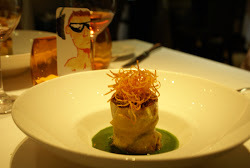 When we work for a brand we try to follow the line guide of the product but we apply to it our own creativity. Every job that we do is a little challenge, we do our best and we try to apply different tecniques for every “adventure”. Our works aren’t really works, every finished work is like a son!!!!!! (we are workaholics maybe!!!). What is the importance you find in sounds for example, in fashion videos or commercials, in order to project certain qualities according to the brand ? Franky B: I think that every video needs the right sound, in terms of music , It’s difficult to have a global solution, but with the right sound under the right image you can go to the people’s heart. What do you think makes a good sound designer or creator? Franky B: For me the best qualities are the creativity and the groove... There are many super nerd musicians and sound engineers, with incredible skills, but in many cases they are cold as freezers, because they have no groove!!! I think it's better a simple groovy emotional thing, than a cold super production!!! What plans or projects do you have? Can we expect more sounds for fashion videos and commercials in the near future? Franky B: We have a lot of new abstract’s works in the near future, and I have two EP's for Kenpo Recordings and Deependence Records, those will be out soon!!! (hopefully this summer). How do you see the future of sound creation and its relation with fashion industry and video? Franky B: I think that the viral age in the marketing plans , the starring role of the net, social forums, the new media, etc will allow to increase higher level productions. I’m really happy about it. What's your message for the people who's interested in creating and designing sounds ? Franky B: Express yourself clearly!!!!!Always!!!! Use the net to spread your ideas!!!! 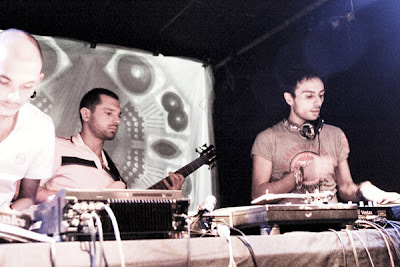 Special thanks to Franky B & Abstract:Groove, Welcome to the Project !!!! For more information on Franky B's new releases. Click here. Franky B considers important to recover a lot of analog sounds and the electronic pioneers in the funk scene. For Dolce & Gabbana's latest backstage videos he recovers sounds from Italy and adds them a modern and classy twist.